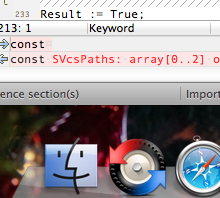 At long last, Beyond Compare runs natively on Macs! BC for Mac has all the power and functionality you've come to expect from Beyond Compare, now with native look and feel, speed, and enhancements to make it feel at home. 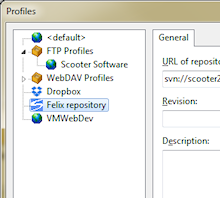 The new Home View adds session search and web resources. The layout is easier to manage with on-screen controls. And, we think it's prettier too! Three-way merging now extends to folders. Compare independent changes against a common ancestor to quickly merge your changes with someone else's. It makes merging your customizations into a new release a snap. 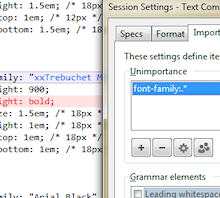 It is now easier to define unimportant text in your Text Compares. Define unimportant terms directly from the Rules dialog, rather than having to edit your file formats. In addition to FTP, you can access WebDAV resources, Amazon S3 buckets, Subversion repositories, Dropbox's cloud storage, and Microsoft OneDrive directly from within Beyond Compare. Organize your remote service profiles with friendly names and folder hierarchies. Picture Compare has a new look, with automatic zoom, pixel-level details, and simplified controls. 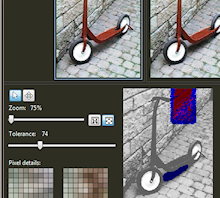 Tolerance comparison mode uses grayscale to reveal the image along with the differences. It's also faster, uses less memory, and supports additional image formats. The reorganized options dialog includes a search feature for finding specific settings quickly. 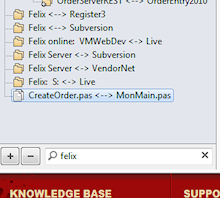 Commands for all comparison types can be customized without first having to open a view. 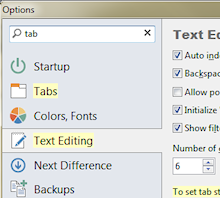 Hex Compare supports in-line editing and wraps lines to fit the window. New View Patch command shows diff/patch files as a text comparison. HTML folder comparison reports can now embed links to file comparisons. Added option to align filenames with different extensions in folder compare. File operations can be paused in the folder compare. Added new text comparison algorithm choice based on Bram Cohen's Patience Diff. Improved appearance on high DPI (retina) displays. Portable media devices such as cameras, MP3 players, and Android phones can be compared. 7-zip archives can be created or compared, and many other archive types have read-only support, including IMG/ISO disk images. Zipx archives can be compared, complete with PPMd, LZMA, and WavPack compression. 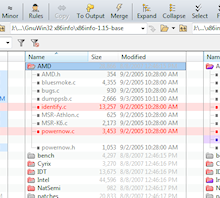 Version Compare now compares the fixed PE header in addition to the version resource. Remote Windows servers can be loaded as base folders (e.g., \\server), allowing access to all of its shares.